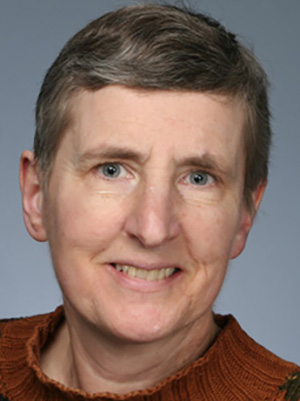 Diane Madlon-Kay, MD, MS, trained in an army family medicine residency and served five additional peace-time years. Prior to joining the University of Minnesota Medical Center Family Medicine Residency faculty in 2005, she taught at Regions Hospital. In addition to conducting her research projects, Madlon-Kay is active in several practice-based research networks. Her primary area of clinical and research interest is maternal-child health, particularly newborn jaundice and childhood immunizations. Madlon-Kay DJ, Munib S. Autism screening and MMR vaccination in children of Somali refugees. International Journal of Clinical Medicine Research. 2016;3(1):17-9. Madlon-Kay DJ, Kasi S, Malik N. Developmental screening of Somali children: use of the parents’ evaluation of developmental status (PEDS) questionnaire. Int J Clin Med. 2016;3(1):13-16. Faisal M, Madlon-Kay DJ. For what gastrointestinal disorders in adults are probiotics effective? Evidence-Based Practice. 2015;18(10):9-10. Townsend L. Madlon-Kay DJ. Is it safe to add long-acting B-2 agonists to inhaled corticosteroids in patients with persistent asthma? J Fam Pract. 2015;64(6):370-1. Zayed S, Madlon-Kay DJ. Growth hormone for treatment of idiopathic short stature in children. Am Fam Physician. 2015;92(1):64. Madlon-Kay DJ. Dizziness. In: Smith MA, Shimp LA, Schrager S, eds. Family Medicine: Ambulatory Care and Prevention. Sixth edition. Lange; 2014:145-8.